You are here: Home » Forecasting with Predictive Analytics – so much better!! Forecasting with Predictive Analytics – so much better!! 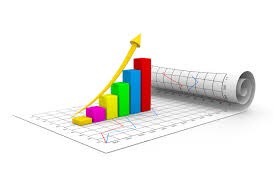 The classical form of Forecasting is to apply statistics to project future trends in Demand, based on historical sales transactions, using either Excel or Advanced Planning Systems like SAP’s APO or IBP. Recently I have been researching the use of Predictive Analytics (PA) in Forecasting Demand as well as Sales and learned a whole new world of Prediction that is far more effective than old methods at Forecasting Demand. Not only is PA more effective, it is also a richer universe where we can go from separate disciplines dealing with the general space of market demand to a coherent, integrated practice of Demand Management. I am writing this article specifically with the Generic Pharmaceutical industry in mind, since I know it reasonably well. If you’re in a different industry, it shouldn’t be difficult for you to extrapolate the concepts presented here to your particular industry. One of the things that strikes me when I observe Generic Pharmaceutical manufacturing companies, among others, is the fragmentation of the work related to the management of market demand in general. Here, I am thinking of any work that tries to predict what that demand will be – in the form of pure demand, in sales, in market share, in customer accounts, or any other form. It is quite common to see Demand Planners project unit volumes; Product Managers deciding which products to focus sales on and the potential upside of those products; and Sales Managers planning sales volumes per Customer Account; and even though they are all, ultimately, thinking of customer demand, they are working separately, looking at different data and making decisions on that general subject using different judgment bases. Demand Planners, for instance, don’t know what is the influence of each Competitor market share on Demand for various products; Product Managers may not realize that for some products, customers in specific regions are more likely to buy the company’s products; and Sales Managers may be unaware of the vulnerability of supply of some products versus other products. Thus, we end up with inconsistencies in how the market is approached. Ultimately, this makes it very difficult to succeed in supporting a desired level of service to customers or achieving expected levels of revenue or profit. A further complication of this industry is that there are two forms of demand to consider: Wholesaler (direct customers) Demand and Pharmacy Demand (i.e., the ‘pull’ by Pharmacies from Wholesalers). Each of the above players may be working with one or the other form of Demand but rarely are they working with both, which introduces other forms of inconsistency and inaccuracy. One of the main reasons or at least main obstacles to the sharing of data and the treatment of data wholistically (as opposed to the fragmented picture we see today) is the fact that data is scattered and data is also voluminous. This latter aspect makes it difficult for the most common tools used today to cope with all the data simultaneously. In addition, fragmented departmental responsibilities make the ‘bridges’ that exist between the many aspects of Demand data ‘invisible’ to the various players. The field of Predictive Analytics brings us a completely different approach to the management of data and the calculation of Predictions from vasts amounts of diverse data. Predicts what we are trying to Forecast using all available predictors, rather than only historical sales and time. So, what changes in Forecasting and how can we integrate the many aspects of Demand Management? Enterprise Social Networking conversations about Demand events (e.g., surges in Demand) and Supply events (e.g., Supplier delays, Quality issues). I could add other views of data but let’s stop here. It’s important to note that the data listed above is multi-sourced and usually isn’t in the hands of one group. The beauty of PA is that you don’t have to fragment the Demand Management task because of size and diversity of data. You can manipulate many aspects of Market Demand and Sales, within a single coherent practice and thus make consistent decisions across the entire Customer spectrum. I’ve tried some of these tools and practices and found them to be far more versatile and aligned with the chaotic, multi-dimensional world of Marketing, Sales and Customer Relationships than past efforts using Advanced Planning Systems and spreadsheets. What I like most about the PA approach is that we can draw insights about Customer behaviour and Competitor behaviour, as well as Supply Chain Performance, in one single environment; and we don’t have to make compromises on granularity of data and the level at which we perform analysis. One big change in Forecasting is this: usually, Forecasts are made at the Product level for the entire Market (e.g., Canada or the US) and then somehow decomposed down to the Customer level; or they are made separately by Product and by Customer and then it’s a nightmare to reconcile the two views. With the PA approach, you can perform Sales predictions Customer by Customer and then roll them up to the Product level. It makes it that the planning of Sales and the Forecasting of Demand for the Supply Chain becomes one activity starting from the same set of data and the same amount of knowledge. It’s just brilliant! ← Digital disruption is everywhere – but what is it?